There's no doubt about it - the BT Ballistic was inspired by the custom chopper industry. 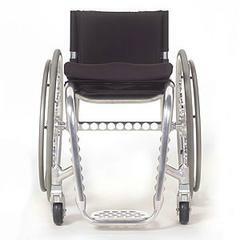 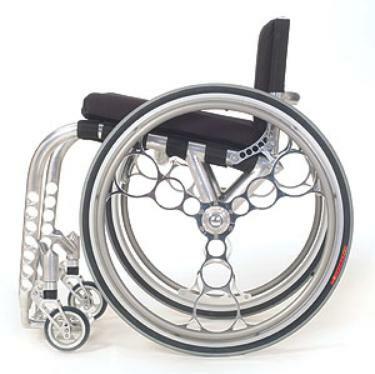 From the distinctive machined billet down tubes and axle cross bar, to the matching foot plate, to the perfectly matched Glance Vortex mirror finish wheels, this chair screams style. 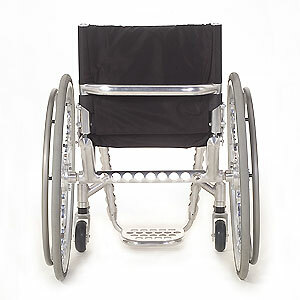 It is also a people magnet and surefire conversation starter! 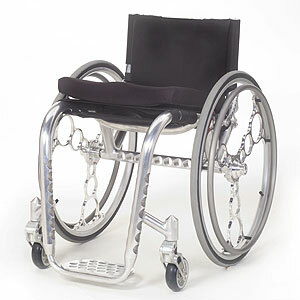 This chopper-inspired wheelchair boasts a 1.5" 6061 T6 aluminum tube frame, Mirror Polish finish, tension adjustable seating and backrest, 25" Vortex glance aluminum rear wheels, Schwalbe Marathon Plus tires and Frog Legs Ultra-Sport caster forks. With a weight 24.5 pounds, this heavy duty bruiser offers a gentle and stylish ride.